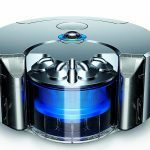 The iClebo Arte Mopping Robot is one of most affordable mopping robot.It uses a CAMERA-BASED VISION MAPPING vacuuming pattern and SMART DETECTION SENSORS technology to ensure effective cleaning. iClebo is a major player in the world of floor mopping robots. Its robot, Arte Smart Vacuum Cleaner & Floor Mopping Robot, cleans inside the house by itself efficiently.It is packed with the smart integration of superior technology. In case you don’t know a lot of about iClebo brand, it is an immensely popular brand in Asia; they believe that, in the category of Robot Vacuums, it is worth every penny. It brings together the best elements and makes sure it is right for domestic environment too. However, luckily, it is now coming into the United States market too at full steam. 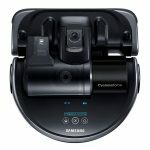 People like to compare Roomba 880 with iClebo Arte. Both are excellent vacuum cleaners. For that reason, Sometimes, it is tough for the customer to decide which is the best option; they want something that can complete all the desired tasks in their home and operate in the long run.If you are also in a complex situation, and if it is tough for you to decide which model will work for you, allow us to reveal the head-to-head comparison chart.The only thing that makes iClebo a better choice is it is a mopping robot as well. You don’t need to spend hundreds of dollars extra for a mopping robot specifically. It handles both tasks simultaneously and quickly. You can trust it everywhere in your home. 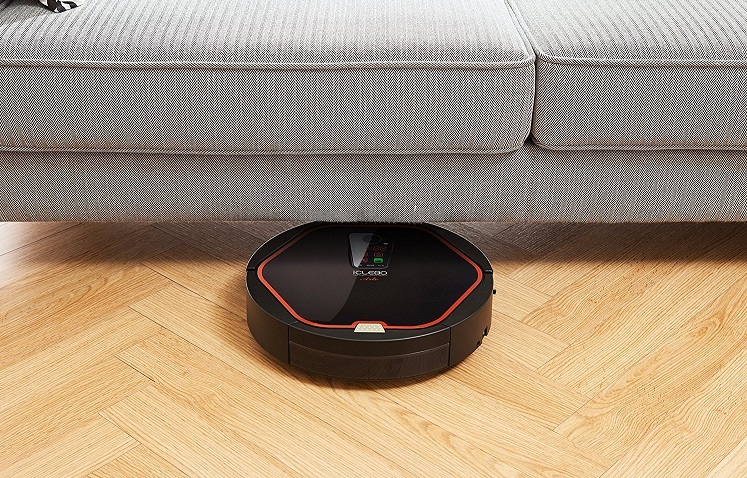 It is two-in-one robot; it can vacuum and mop at the same time. 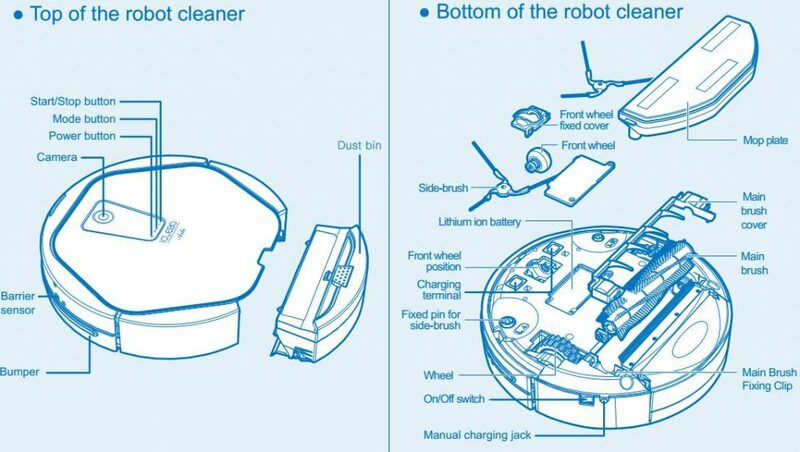 iRobot Roomba 880 is only a vacuum cleaner; it is not a mopping robot. It has 15 navigation sensors. It also has a full suite of sensors to navigate. It a lot more quicker in performance. It takes a tad more time in cleaning. iClebo Arte is ultra light and slim. Roomba is a bit heavier than iClebo. It hast 3-stage cleaning system - brushing, dust collection, suction. It also has 3-stage cleaning system - agitation, brushing, suction. How Does iClebo Arte Work? The iClebo Arte Mopping Robot brought professional care to home but sometimes will be stuck during work. It designs to round shape and low-slung which help to clean the corners, furniture and close to the edge. It uses a CAMERA-BASED VISION MAPPING vacuuming pattern and SMART DETECTION SENSORS technology to ensure effective cleaning. Let’s take a look at the features that technologies brought. It uses a triple CPU system with camera vision and integrates the best robotic technology experience in the world.This camera-based system facilitates in vision mapping. It maps your home and never misses a spot while cleaning.But, the triple CPU system doesn’t only have the camera vision. It also has power management and device control, which is impossible to find in other floor mopping robots. Before we shed light on its cleaning steps, first it is pertinent to mention that it has selectable cleaning mode too – Auto & Random. It is entirely up to you which mode assists you in your needs. For maximum cleaning performance, you can use the auto mode (vision mapping) first, and then opt for the random cleaning mode. In the first step, the iClebo Arte Smart Vacuum Cleaner uses two side brushes. These side brushes clean the sides and corner of the walls and furniture. Next, the spiral type main roller brush activates. It picks the dust and transports it to the dust container. Lastly, the vacuum generates the suction power and makes sure all the dust particles are sucked from the floor and all the corners of the house into the container. For wet mopping, this exceptional robot can be equipped with ultra microfiber mops. Though, make sure to pre-soak microfiber cloth before attaching it. In other floor mopping robot models, it is pertinent to take out the main brush before installing microfiber cloth. However, this isn’t the case with iClebo Arte Smart Vacuum Cleaner. In this robot, the vacuum suction and wet mop cleaning can work simultaneously. Perhaps, that’s why, it is the talk of every town and labeled as one of the most innovative designs. Its wet mopping system is perfect for all hard and marble floors. Furthermore, unlike other robots, the mopping process is without noise (when the suction motor is off). Recognizes Objects, And Prevents Collisions. Set schedule for daily cleaning of entire areas from room-to-room. Arte will automatically power itself on and clean your home or office for up to 160-minutes without assistance. Features Auto Charge/Resume function for continuous cleaning. iClebo OMEGA is most rick feature robot and have highest price. iClebo Alpha are very similar with iClebo OMEGA. Just miss Turbo mode and Dust Sensor feature but have lower price. 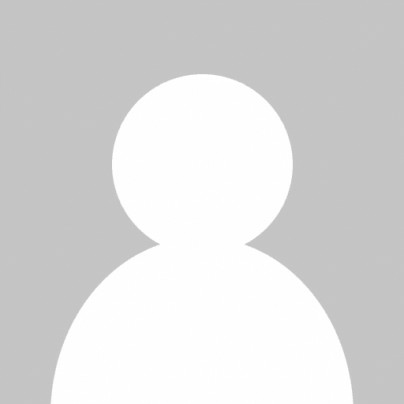 iClebo POP is cheapest one and missing Scheduling features. iClebo Arte has a sophisticated and contemporary design. It has a black finish with orange accents that makes it standout in the room. Moreover, it is quite slim and easily passes under furniture.It looks good in any room of your home… We promise! Especially, we loved the touch-screen style display in it. 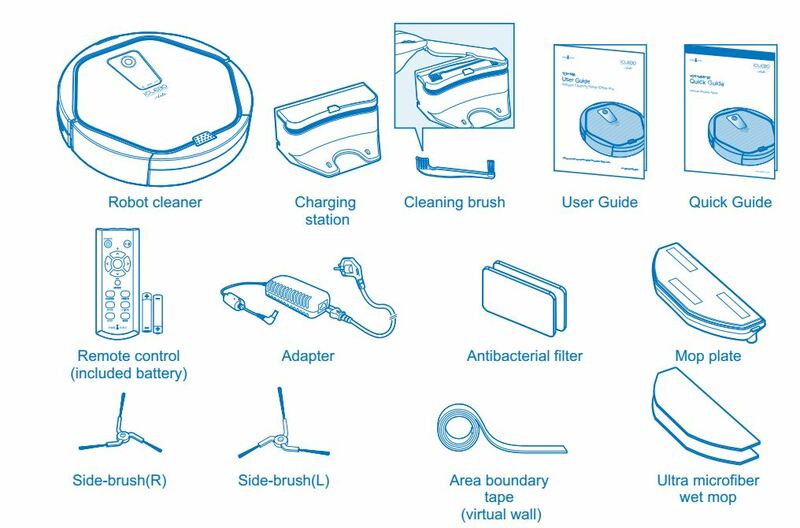 It has all the options that assist in cleaning, such as power on/off, cleaning cycle start/stop, and et cetera. Click the Start button, The robot will begin to work. The iClebo Arte Smart Vacuum Cleaner and Floor Mopping Robot is simple to operate. You can expect around 160 minutes on hard floors and less on carpet.Though, this mopping robot includes a built-in cliff sensor, which doesn’t let it fall from the stairs. However, it is better if you use a boundary tape to protect it or keep it going to the other places. Since, when it detects the boundary tape, the machine turns around.We perceive, it can be a tad more hectic in that sense, but two-in-one option demands a bit work from you too. Other than that, with a single full charge, it can operate for two hours quietly. The extremely quiet movement will do all the cleaning and polishing while you are asleep.The best thing about iClebo Arte Mopping Robot is when the charging gets low, it finds way back to the charging station and charge on its own in order to continue cleaning. You don’t have to get up from your bed and put it in the charging station, again and again. This robot has 15 built-in sensors to avoid obstacles. It is a two-in-one system – vacuuming and mopping. Uses a tripe CPU system with camera vision. The cleaning time is around 120-minutes. It can detect a climb as high as 2 cm; your carpet won’t be avoided. It mops the floor, but as it detects carpet, the mopping feature cuts off. The iClebo Arte Mopping Robot operates a lot quicker than other robots. It is ready for immediate use right out of the box. It can get lost while trying to find the docking station. Its vacuum isn’t perfect in collecting long pet hair. Despite of the high-tech features, there are a few thing you must remember.Don’t forget to turn on the lights, if you want it to work efficiently. Though, it can work and give great performance in the dark room too, but it won’t be that quick.It will take a tad more time. Other than that, you have to arrange the cliff detection strip on your own, as iClebo Company doesn’t offer the extra parts. We know it is a bit unfair, but there isn’t any other option. You can get the cliff detention strip from some other sellers on the Amazon. Lastly, if you are not in the United States, you are still in luck. It can work in other countries also. Just remember that its voltage ranges from 100V to 240V A/C. First, as we have mentioned before, there isn’t any border tape!Therefore, you need to buy the border tape separately, if you want the iClebo Arte Smart Vacuum Cleaner work in the specific range. Besides, the package includes: Arte Robotic Vacuum,Charging Station,Remote Control (Batteries),Power Adapter,Wet Mop Plate,Side Brushes,Antibacterial Filter and User Guide book. You don’t need to be a professional to understand it. Everything is explained clearly in the user guide. Besides, you can learn its basic operation through YouTube videos as well. Choose Authentic iClebo products from Authorized Resellers is the only way to protect your warranty. And unauthorized parts such as batteries, filter and brushes may have a negative impact on product performance even damage your robot. iClebo Arte Mopping Robot is an electronic product and brings great help to home. In order to reduce the risk of injury and keep the iClebo Arte running good, we need to keep following tips in mind. Use only accessories and replacement parts are Authentic iClebo parts. used 3rd parties may have a negative impact on product performance and can cause damage to your robot and also void your robot’s warranty. Never handle the battery charger with wet hands. Don’t use it out side. iClebo Arte Smart Vacuum Cleaner & Floor Mopping Robot is smart and have a good price.It has everything we want. Just program it to clean, and it does the rest. iClebo Arte don’t have wifi-connected feature, if you need you can choose iRobot or Neato robot. We assure you, you will be very happy with the purchase.